Harvest date: June 3rd, 2010, by hand. This is the second spring harvest. 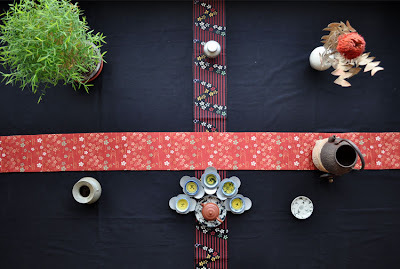 (The first harvest is also available in my selection). The tasting notes are based on 3 grams brewed in a competition tasting set for 6 minutes. The dry leaves are dark green. The brew is clear and shiny with a dark yellow color approaching orange. It's always difficult to describe the fragrance of Hung Shui Oolong. It changes with time, with temperature. 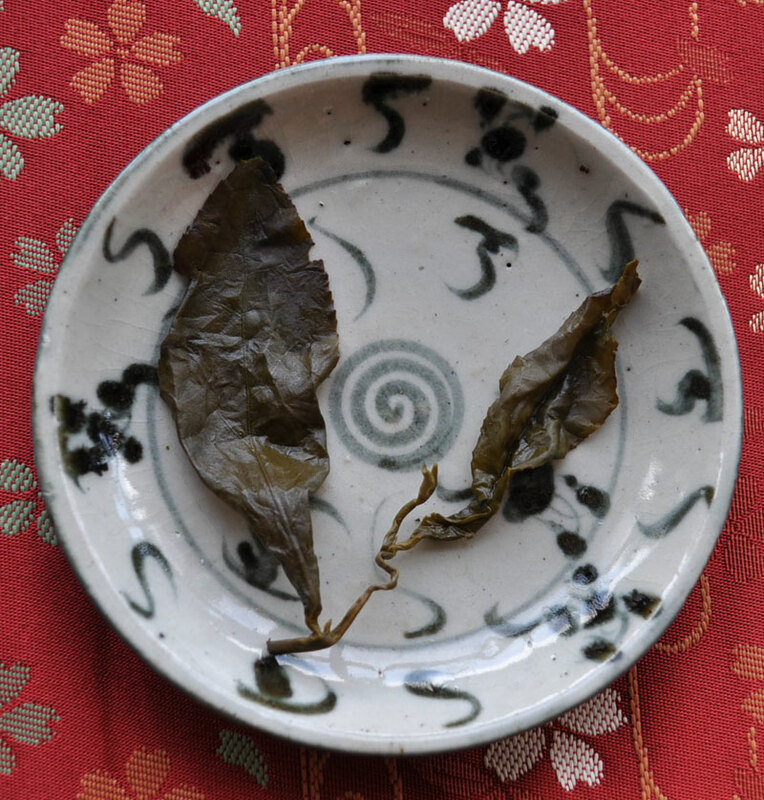 Yesterday, for instance, I found an obvious almond smell in my 2009 fall Feng Huang Hung Shui Oolong. Here, the first impression is intoxicating with a paradoxical combination of roast and freshness on top of dark flowers. The wet leaves have a rather strong roasting smell. The brew itself is more balanced. 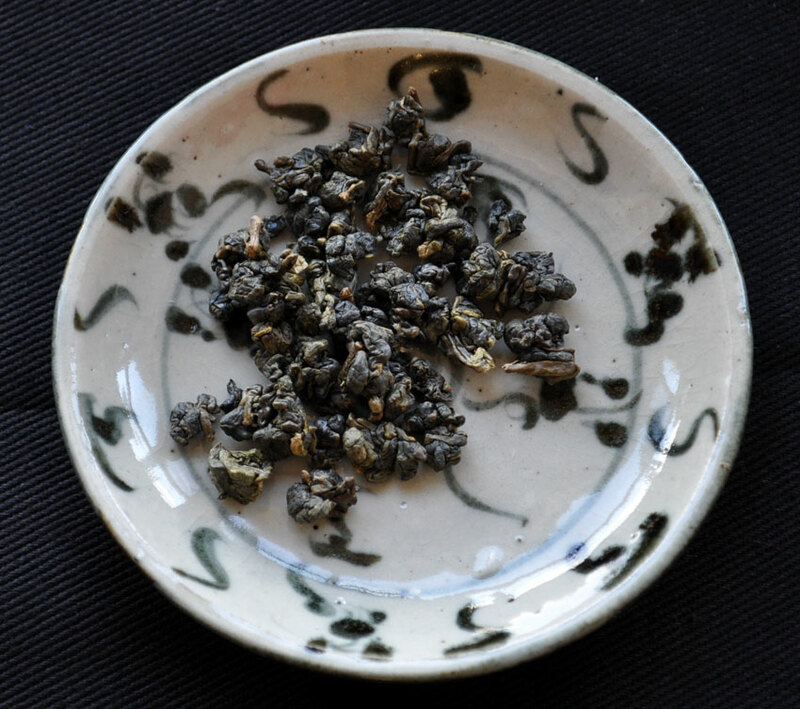 All in all, this Hung Shui Oolong has a stronger roast than the April 20th Shan Lin Shi Hung Shui Oolong. It starts very mellow and sweet. Then comes a light astringency in the back of the mouth with a feeling of freshness on the mouth. All this then transforms into a formidable sweet taste in the mouth and down the throat. 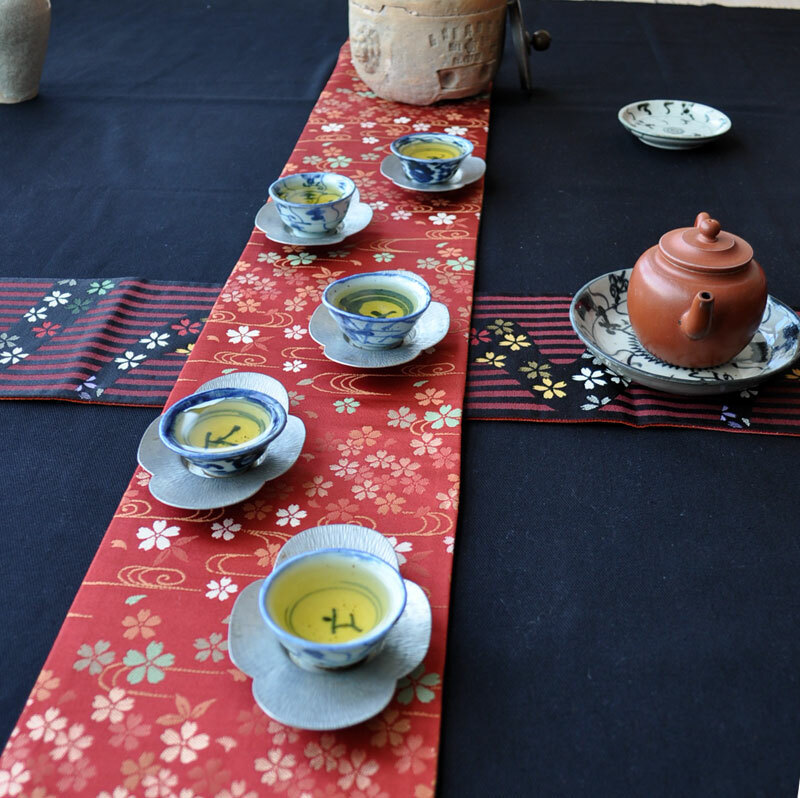 All this happens with the power and purity of High Mountain Oolong. 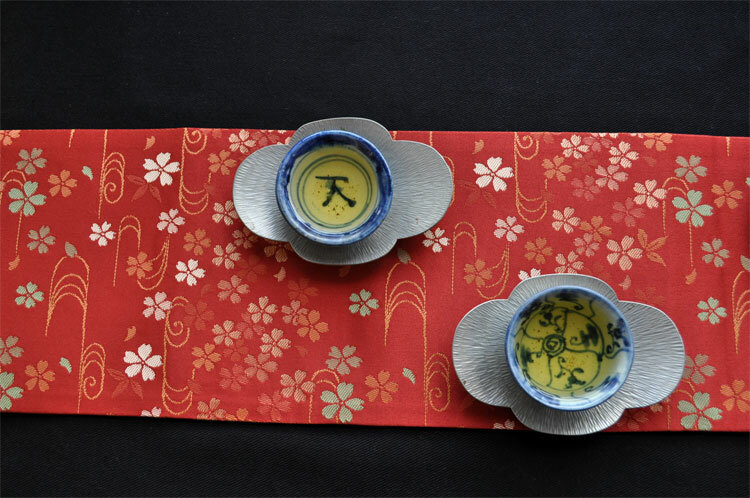 The tender elegance of the Shan Lin Shi terroir is present in every drop. The sweet and fresh aftertaste stays on for several minutes. Wonderful! This tea reaches deep into body and soul. 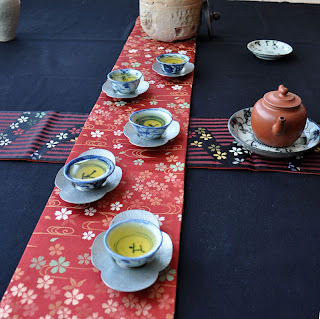 This depth and elegance is what I so love about Hung Shui Oolongs. Compared to the April 20 version, this Hung Shui Oolong is a little less flowery in scent, but it still has spring fragrance characteristics. For this reason, its roasting was relatively stronger, to add more taste, but still in line with Hung Shui character: no burned smells and leaves that unfurl completely with their freshness preserved. However, this stronger roast led me to wait before officially adding this tea to my selection. Time has now mellowed the fire in these leaves (and will continue to do so after you receive it). 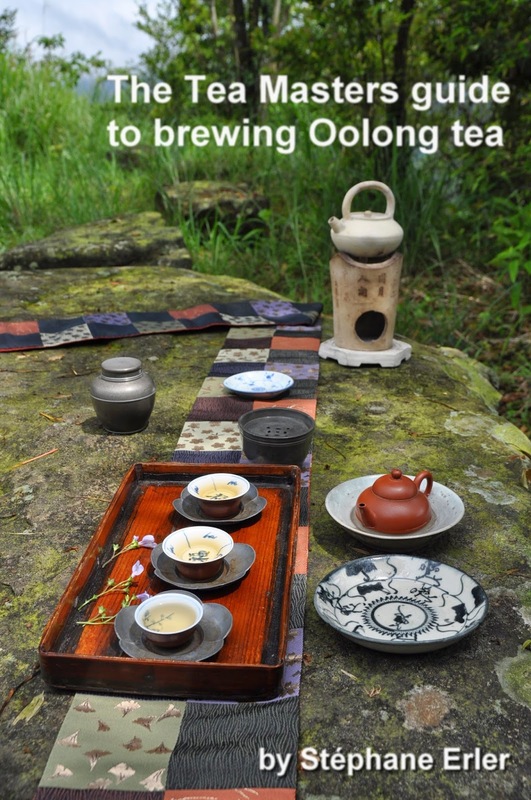 What is the advantage of a second spring harvested Oolong? We don't often hear about them. 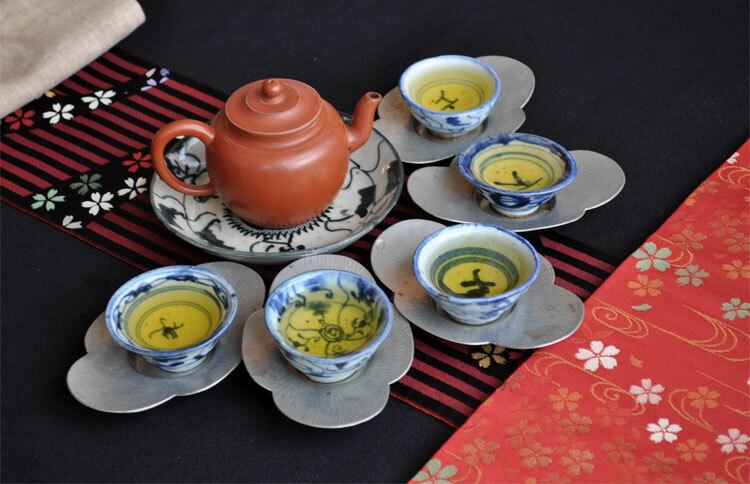 Most of the time, they are simply sold as spring Oolongs as they can be quite close and difficult to differentiate for the average drinker, especially if they have been roasted. However, because they are less sought than the first spring harvest, their price is very attractive. Advice: Use a slow pour of boiling water in your brewing vessel for your first infusion. Encore un article qui donne soif. La première photo révèle un Cha Xi étalé dans l'espace des plus magnifiques. "Encore un article qui donne soif." Que d'Espace et de Respiration ressortent de cet article ! L'Harmonie qui ressurgit grâce à la Pratique du Thé ; c'est cela de véritablement Formidable! 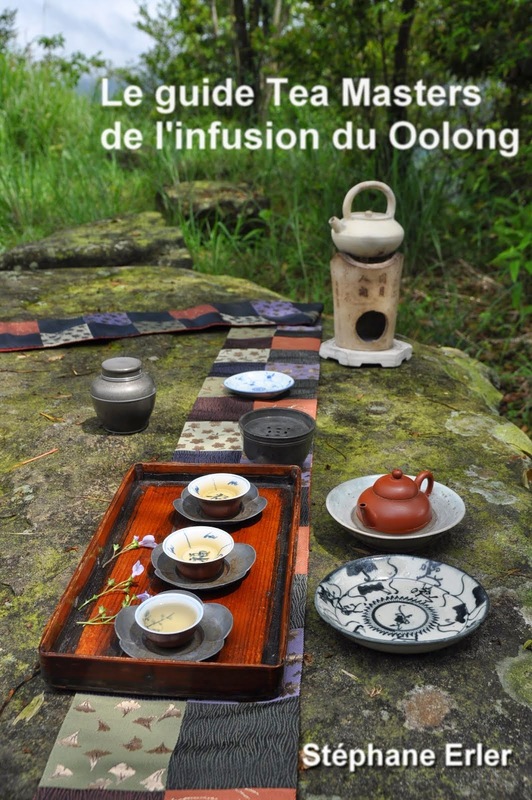 Je vais craquer pour un Cha Bu de Noël! Merci pour vos commentaires! Je suis heureux que vous aimez. Je suis en train d'expérimenter pour un Cha Xi public dans une gallerie d'art de Taipei. I have a couple of the small ivory white porcelain jars that I purchased from you a little while ago, I could seal them with wax to keep them airtight. They hold about 35g per container, which seems like a nice amount to seal up and tuck away somewhere safe. The question would then be - do I need to periodically remove the seal to let in fresh air, say once a year, or are they fine to be left alone to age for as long as required? To store Oolong in a porcelain jar for the long term, it's best to use a bigger amount of leaves (300 grams seems a minimum) and therefore a bigger jar. The jar should be filled to the top. No need to let fresh air in on purpose. But I still recommend that you open the jar every year or 2 to check how your leaves are aging. Therefore, wax is not necessarily the best way to close the jar. You can also wrap the jar in some fabric and then in a bag and keep it in a cool closet.